Who loves happy hour? There’s nothing better than gathering with friends and family late in the afternoon for creative sips and bites, so from 3-5pm daily we roll out some of our favourite dishes and drinks for everyone to enjoy, at pocket-friendly prices. From our moreish tater tots with romesco dip ($6) to our much loved potato crusted oyster ($6), to our seaweed salad with puffed wild rice ($10) or our utterly delicious burger and fries ($15), there’s something for every palate and hunger level. 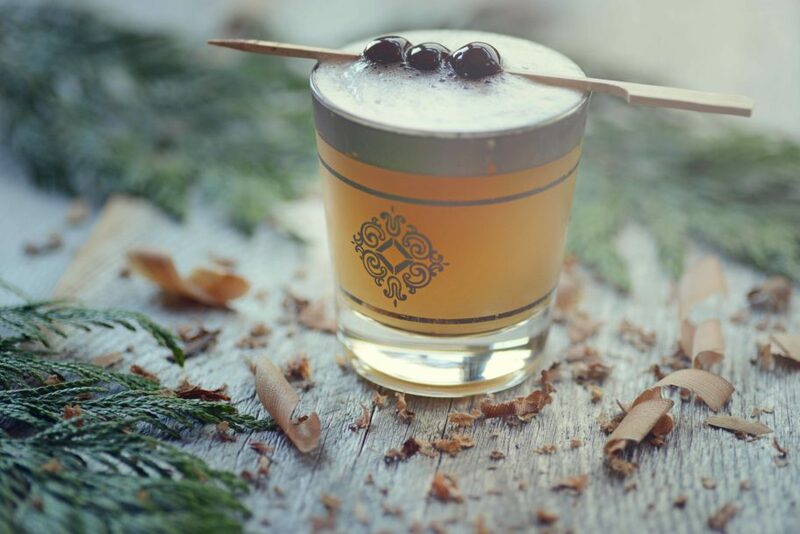 A rotating feature cocktail ($9) could include the popular Cedar Sour with cedar-infused rye, lemon thyme, lemon and egg white or the new Sea Sells Pea Shells – a mix of pea shell-infused gin and sea asparagus-infused vermouth – a cocktail guaranteed to spark your taste buds! 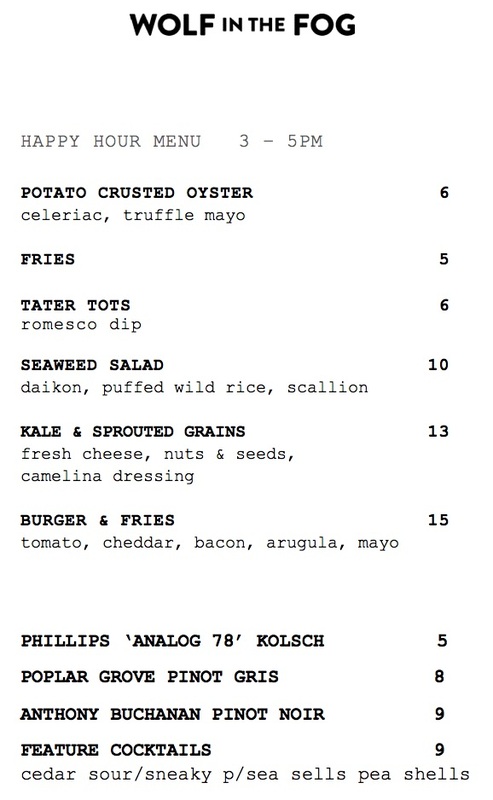 Philips ‘Analog 78’ Kolsch ($5), Poplar Grove Pinot Gris ($8) and Anthony Buchanan Pinot Noir ($9) round out the menu. Stay on for dinner, head out to enjoy another of Tofino’s stellar restaurants, stargaze on the beach or simply head home to relax after a long day of adventure. The choice is yours.